As seen in Harvard Business Review, Wall Street Journal, Fast Company, The Daily Mail, Yahoo! News, News.com.au, Tech in Asia, NZ Herald, Smart Company and more. Learn how to get way more done in l way less time with our six-hour workday crash course. Whether you're a corporate executive, an entrepreneur or somewhere in between, you'll earn your freedom to either re-invest energy into business or spend more time with family, friends and doing all of the things that constittute living! The six-hour workday crash course was developed by Steve Glaveski, author of Wiley book, "Employee to Entrepreneur", and Harvard Business Review article, "The Case For The Six-Hour Workday". Despite all of this, he still maintains a pretty active social life, travels often, has taught himself how to ride a motorcycle, surf, and put together a stand-up comedy show in the past year, and often leaves the office at 3pm. 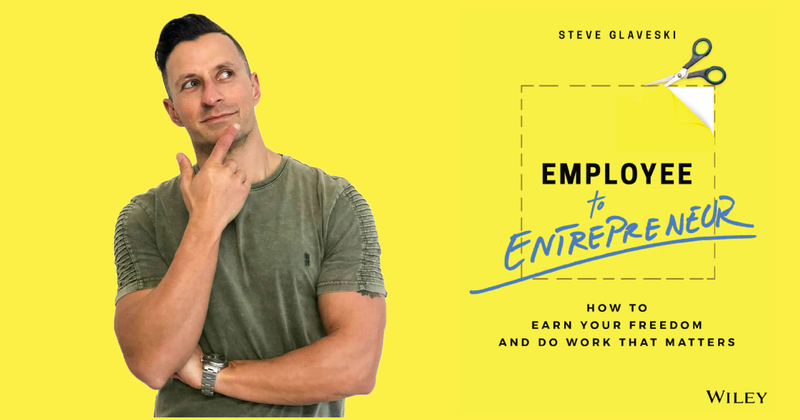 All participants receive a complimentary signed copy of Steve Glaveski's latest book, Employee to Entrepreneur, heralded by New York Times bestselling author, Adam Grant, as a manual for making the leap, and below, by Foundr CEO Nathan Chan as a playbook for making it happen.